In a Nutshell: Barbara Ortiz Howard was not a political activist when she came up with the idea for Women On 20s. The nonprofit was born of the realization that women are not well-represented in the American cultural landscape. In a nationwide campaign, voters selected abolitionist Harriet Tubman to replace Andrew Jackson on the $20 bill. The bill is significant because the original target year for implementation — 2020 — marks the centennial of women’s right to vote in the U.S. And, removing Jackson from the $20 bill would remove what many see as a symbol of oppression, as a slave owner and president who signed the Indian Removal Act into law. Although the Harriet Tubman campaign was a success, the organization is awaiting clarification from the Treasury on when the change will occur. Like so many great ideas, the inspiration for the Women On 20s campaign struck out of the blue, when a number of observations culminated for the organization’s founder, Barbara Ortiz Howard. “It started in 2012 when I was waiting in line at a coffee shop one day, and I had this realization that one of the problems that we have is that women are invisible in our society in everyday life,” said Howard. Howard said she had been watching movies, like “Iron Jawed Angels,” and making some general observations about society, and she was stunned as she began to understand how little Americans know about women’s history. The idea resonated with Howard. She said she reached out to some friends to test the idea of a campaign that would lobby to have a woman featured on U.S. currency, and the response was positive. She said although some groups expressed interest, they had other priorities so Howard began considering just how important the issue is and decided to find a way to do it herself. After Howard, who funded a large portion of the campaign with her own credit cards, brought her friend and journalist Susan Ades Stone onboard to help envision a strategy, the Women On 20s idea became a reality. When the process began, Howard and her team built a list of more than 100 inspirational women who were candidates. Today, many know it as the campaign to see abolitionist and activist Harriet Tubman as the face of the $20 bill. She said the campaign surveyed historians, authors, and women’s history activists to compile the initial list of candidates. From there, the group ranked the women in terms of their contribution to society and the level of difficulty they faced in achieving their accomplishments. The list was whittled down to 60, then 30, then 15. At that point, Howard said the organization launched the national campaign and opened up voting to the general public, who were asked to select three top candidates. Almost 300,000 people participated in the first five-week round of voting. 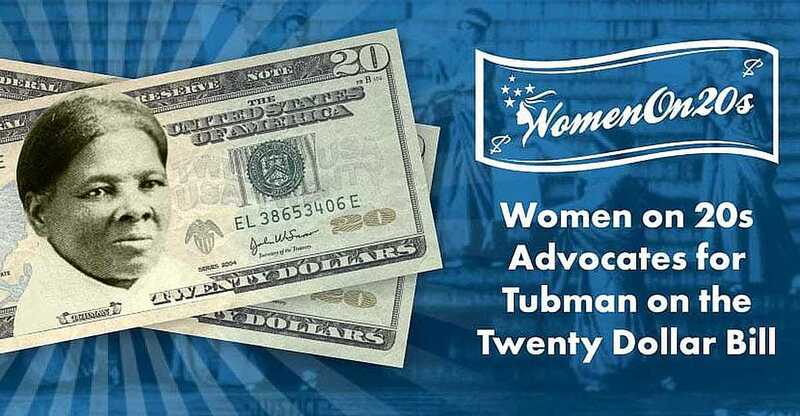 The Women On 20s campaign began with a list of more than 100 women considered for the $20 bill, and Harriet Tubman emerged as the favored choice. The final three candidates were Eleanor Roosevelt, Rosa Parks, and Harriet Tubman. The campaign also added the first female chief of the Cherokee Nation Wilma Mankiller to represent Native Americans who had been in the top 30, but lacked wider public recognition. 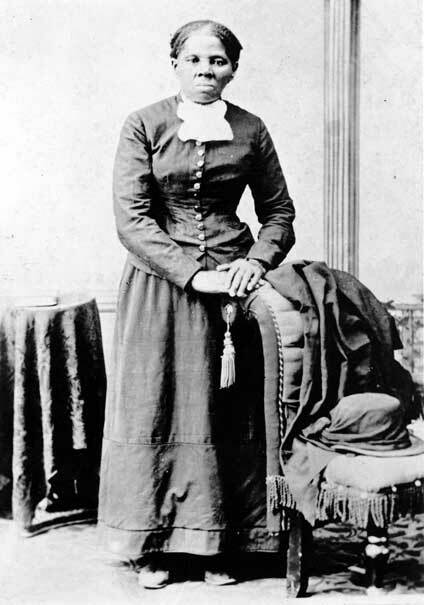 In May 2015, the Women On 20s campaign announced that Harriet Tubman had emerged as the winner with 118,328 votes. Tubman — who was born into slavery and escaped to freedom in the North — was a driving force in the Underground Railroad. In the face of adversity and even death, she made 13 trips back to the South where she led about 70 slaves, including her own parents, to freedom. Many other made it to freedom because of her work, including 700 slaves who were freed during the raid on the Combahee River by Union generals who were led there by Tubman. She served as a nurse, scout, and spy during the Civil War, and was active in the early women’s suffrage movement. Howard said she was extremely pleased with the results. Howard said to see Tubman on U.S. currency is important, and it will send a message across the globe. Howard said featuring a woman on the $20 bill, in particular, is significant for a number of reasons. When the women on currency idea began to take shape, Howard said she was aware that the 100-year anniversary of women’s right to vote in the U.S. was coming up. The women’s suffrage movement in the U.S. first gained momentum in the 1840s through the Civil War. After the war, the movement went through several iterations before gathering strength once again in the early 1900s. Finally, in 1920, women gained the right to vote in America with the passage of the 19th Amendment, although Jim Crow laws negated the right for women of color in the South. Barbara Ortiz Howard (left) and Susan Ades Stone (right) with Women On 20s-inspired artwork by Brussels-based artist Yann Guitton. And, according to the Women On 20s website, a new portrait on the $20 bill will symbolize greater change to come, including making the history of women who forged their own paths as well-known as that of their male counterparts. “In the process, maybe it will get a little easier to see the way to full political, social, and economic equality for women,” according to the website. Howard said another motivating factor in selecting the $20 bill is that Andrew Jackson, the seventh U.S. president, represents an era where many values were wrong and are particularly inappropriate to hold up in modern times. Additionally, Howard said the $20 bill is simply more visible than other bills. It is used four times more than the $10 bill, and is dispensed from ATMs all over the country she said. After Women On 20s announced Tubman as the woman it would promote for inclusion on the $20 bill, Howard said the organization planned its next steps by setting its sights on Washington, D.C. The organization presented its petition for Tubman on the $20 to Secretary of the Treasury Jacob Lew, President Barack Obama, and other members of the executive branch. The U.S. Department of the Treasury then revealed its own plans to consider women on another denomination, the $10 bill, and dubbed its campaign #TheNewTen. Eventually, because of the efforts of Women On 20s, Lew announced that the Treasury would be putting Tubman on the face of the $20 bill. He also announced that influential women from the suffragist movement would be included on the back of the $10 bill and that Marian Anderson, one of the most celebrated singers of the 20th century, would be included on the $5 bill along with Eleanor Roosevelt and Martin Luther King, Jr. because of their presence at the Lincoln Memorial. Women on 20s called this the trifecta, and while they contributed to the concepts for the $20 bill and the $10 bill, the $5 bill was a pleasant surprise gift. But, Howard said any plans to move forward with these significant changes came to a halt when Lew left office. Howard said the best way Americans can support the Women On 20s campaign right now is to seek out the truth in U.S. history. With the Trump administration digging its heels in deep on other priorities, Howard said she doesn’t think it would be beneficial for citizens to petition the federal government about the issue at this time. Instead, she encourages a broader, and perhaps more impactful approach in the long run. She said the best thing Americans can do for now is to recognize the truth in their history, and celebrate Tubman, a true freedom fighter. Howard said despite there not being an official action plan at this time, she has heard that some people have been stamping their $20 bills with Tubman’s likeness or signing her name to the currency. And, even though the momentum to implement Tubman’s likeness has dwindled in the current administration, Howard remains hopeful.